210200 C10 Iveco C10 series diesel engine. 210201 C10 ENT Iveco C10 ENT Industrial Diesel Engine Service (workshop / repair) Manual. 210202 C10 ENT C23 Iveco C10 ENT C23 Industrial Diesel Engine Spare Parts Catalog. 210203 C10 ENT D20 Iveco C10 ENT D20 Industrial Diesel Engine Spare Parts Catalog. 210204 C10 ENT E20 Iveco C10 ENT E20 Industrial Diesel Engine Spare Parts Catalog. 210205 C10 ENT X20 Iveco C10 ENT X20 Industrial Diesel Engine Spare Parts Catalog. 210206 C10 ENT Iveco C10 ENT Genset Engine Service (workshop / repair) Manual. 210207 C10 ENT X60 Iveco C10 ENT X60 Genset Engine Spare Parts Catalog. 210208 PUC10 ENT D20 Iveco PUC10 ENT D20 Power Unit Spare Parts Catalog. 210220 C13 Iveco C13 series diesel engine. 210221 C13 ENAM19 Iveco C13 ENAM19 Marine Diesel Engine Spare Parts Catalog. 210222 C13 ENS M33 Iveco C13 ENS M33 Marine Diesel Engine Service (workshop / repair) Manual. 210223 C13 ENS M33 Iveco C13 ENS M33 Marine Diesel Engine Spare Parts Catalog. 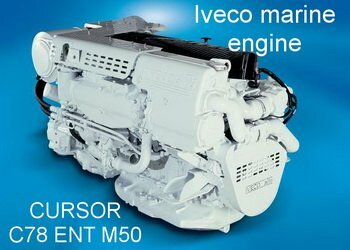 210224 C13 ENT M50 Iveco C13 ENT M50 Marine Diesel Engine Spare Parts Catalog. 210225 C13 ENT M77 Iveco C13 ENT M77 Marine Diesel Engine Service (workshop / repair) Manual. 210226 C13 ENT M77 Iveco C13 ENT M77 Marine Diesel Engine Spare Parts Catalog. 210227 C13 ENT M83 Iveco C13 ENT M83 Marine Diesel Engine Spare Parts Catalog. 210228 C13 ENT Iveco C13 ENT Industrial Diesel Engine Service (workshop / repair) Manual. 210229 C13 ENT D20 Iveco C13 ENT D20 Industrial Diesel Engine Spare Parts Catalog. 210230 C13 ENT E20 Iveco C13 ENT E20 Industrial Diesel Engine Spare Parts Catalog. 210231 C13 ENT I20 Iveco C13 ENT I20 Industrial Diesel Engine Spare Parts Catalog. 210232 C13 ENT X20 Iveco C13 ENT X20 Industrial Diesel Engine Spare Parts Catalog. 210233 C13 ENT Iveco C13 ENT Genset Engine Service (workshop / repair) Manual. 210234 C13 ENT A60 Iveco C13 ENT A60 Genset Engine Spare Parts Catalog. 210235 C13 ENT A61 Iveco C13 ENT A61 Genset Engine Spare Parts Catalog. 210236 C13 ENT E60 Iveco C13 ENT E60 Genset Engine Spare Parts Catalog. 210237 C13 ENT E61 Iveco C13 ENT E61 Genset Engine Spare Parts Catalog. 210238 C13 ENT E62 Iveco C13 ENT E62 Genset Engine Spare Parts Catalog. 210239 C13 ENT X60 Iveco C13 ENT X60 Genset Engine Spare Parts Catalog. 210240 C13 ENT X61 Iveco C13 ENT X61 Genset Engine Spare Parts Catalog. 210241 C13 ENT X62 Iveco C13 ENT X62 Genset Engine Spare Parts Catalog. 210242 C13 ENT I20 Iveco C13 ENT I20 Power Unit Spare Parts Catalog. 210243 PUC13 ENT D20 Iveco PUC13 ENT D20 Power Unit Spare Parts Catalog. 210260 C78 Iveco C78 series diesel engine. 210261 C78 ENA M12 Iveco C78 ENA M12 Marine Diesel Engine Spare Parts Catalog. 210262 C78 ENS M20 Iveco C78 ENS M20 Marine Diesel Engine Service (workshop / repair) Manual. 210263 C78 ENS M20 Iveco C78 ENS M20 Marine Diesel Engine Spare Parts Catalog. 210264 C78 ENT M30 Iveco C78 ENT M30 Marine Diesel Engine Service (workshop / repair) Manual. 210265 C78 ENT M30 Iveco C78 ENT M30 Marine Diesel Engine Spare Parts Catalog. 210266 C78 ENT M50 Iveco C78 ENT M50 Marine Diesel Engine Service (workshop / repair) Manual. 210267 C78 ENT M50 Iveco C78 ENT M50 Marine Diesel Engine Spare Parts Catalog. 210268 C78 ENT M50.11 Iveco C78 ENT M50.11 Marine Diesel Engine Service (workshop / repair) Manual. 210269 C78 ENT M55 Iveco C78 ENT M55 Marine Diesel Engine Service (workshop / repair) Manual. 210270 C78 ENT M55 Iveco C78 ENT M55 Marine Diesel Engine Spare Parts Catalog. 210271 C78 ENT Iveco C78 ENT Industrial Diesel Engine Service (workshop / repair) Manual. 210272 C78 ENT D20 Iveco C78 ENT D20 Industrial Diesel Engine Spare Parts Catalog. 210273 C78 ENT E20 Iveco C78 ENT E20 Industrial Diesel Engine Spare Parts Catalog. 210274 C78 ENT F40 Iveco C78 ENT F40 Industrial Diesel Engine Spare Parts Catalog. 210275 C78 ENT F41 Iveco C78 ENT F41 Industrial Diesel Engine Spare Parts Catalog. 210276 C78 ENT C26 Iveco C78 ENT C26 Diesel engine for Railway applications Spare Parts Catalog. 210277 C78 ENT Iveco C78 ENT Genset Engine Service (workshop / repair) Manual. 210278 C78 ENT E60 Iveco C78 ENT E60 Genset Engine Spare Parts Catalog. 210279 PUC78 ENT D20 Iveco PUC78 ENT D20 Power Unit Spare Parts Catalog. 210280 C78 ENT C25 Iveco C78 ENT C25 Automotive Engine Service (workshop / repair) Manual. 210281 C78 ENT C25 Iveco C78 ENT C25 Automotive Engine Spare Parts Catalog. 210300 C87 Iveco C87 series diesel engine. 210301 C87 ENT Iveco C87 ENT Industrial Diesel Engine Service (workshop / repair) Manual. 210302 C87 ENT X20 Iveco C87 ENT X20 Industrial Diesel Engine Spare Parts Catalog. 210303 C87 TE Iveco C87 TE Industrial Diesel Engine Service (workshop / repair) Manual. 210304 C87 ENT Iveco C87 ENT Genset Engines Service (workshop / repair) Manual. 210305 C87 ENT X60 Iveco C87 ENT X60 Genset Engines Spare Parts Catalog. 210320 D20 Iveco D20 series diesel engine. 210321 PUC13 ENT D20 Iveco PUC13 ENT D20 Industrial Diesel Engine Spare Parts Catalog.